Social media platforms like Facebook, Twitter, Instagram and Google+ have become part and parcel of the majority’s lives. People are using the sites to connect with friends and family while businesses are also using them to hunt for new customers and grow their brands. Though the concept of social media marketing is not difficult to comprehend, you require certain skills, knowledge and tools so that you make the most from the social sites. At Rocket Marketing and Design, we have the knowledge, skills, tools and the experience to perform for you targeted social media marketing aimed at spreading the footprints of your business within the online communities and increasing the traffic to your web pages. At Rocket Marketing and Design, we will help your business gain traction in the top social media websites including Facebook, Twitter, Instagram and Google+ We will set up and optimize your social media accounts to reflect the nature of your products and services as well as your social media marketing Hollywood goals. In this manner, your social media accounts will be on the right footing to start bringing good results for your business. As a professional social media agency Hollywood, we will build for you organic followers who will interact and engage with your brand. This is unlike other companies where bots are deployed to build your followings so that you are deceived that you have a large number of followers, yet they are unable to engage and interact with you. You will also be delighted to know that we offer client exclusivity guarantee. This implies that we will not promote any other business which may be deemed as your competitor when we are working on you social media marketing. 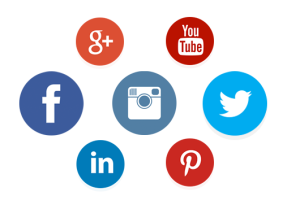 Additionally, we provide you with regular reports to show you the progress we are making on marketing your business in the social media. After a while, you should be able to see the number of engagement, followers, traffic to your website and the ROIs increase. Get in touch with us today for professional social media marketing Hollywood. Call us at 786 – 309 – 8333 or send us an email via the contact form and we will respond to you as soon as possible.